Get ready for a fun day at the SAC Aerospace Museum with a program designed specifically for homeschool families. Students of all ages will participate in hands-on, interactive activities in a themed workshop. These workshops are limited to 30 total students so register early! Questions? Contact staff to get the best experience possible for your students by calling 402-944-3100 ext. 204, or emailing the Education Department. When is the program? Homeschool Days are held at 1 p.m. on the first Thursday of each month. Who can participate? Homeschool Days are geared toward ages 7-15. Younger siblings are welcome to tag-along, but will not participate in the activities. Parents: Free for museum members, $12 for parents. Program cost includes museum admission and all activities. How can I register? Click on the date of the program for which you would like to register. Program registration may be made at any time, but space is limited to 30 participants. 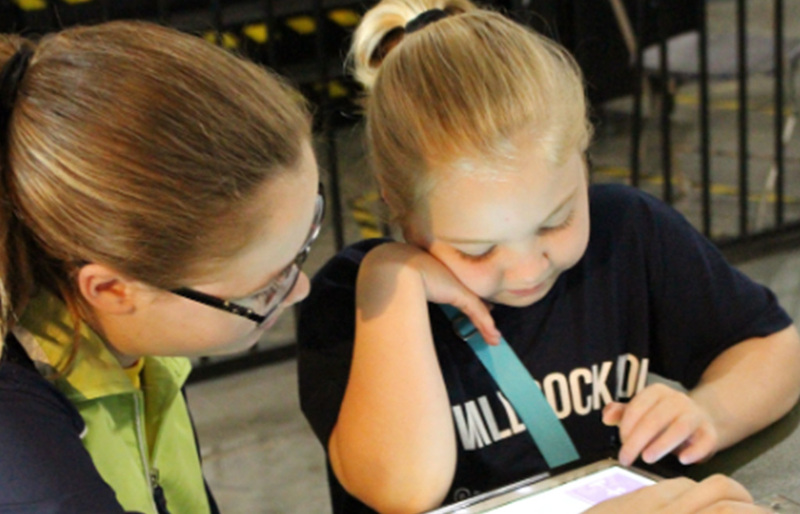 What do you do at a Homeschool Days Program? Homeschool Days Programs last 60-90 minutes and include a variety of themed activities. Descriptions are listed below for each program. A typical program will include a short lecture and two to three hands-on activities. Join us as we celebrate the birthday, and legacy, of Louis Braille the inventor of braille type. We will learn the history of braille typing and how it has helped blind people for over 100 years! Join us as we learn all about the snake! Not only do we look at the biology of snakes, but also how snakes are viewed around the world, in culture! National Salesperson Day honors the value and dedication of the professional salesperson. Join us as we learn how to count money, make change, and make a sales pitch. Spending too much time behind the phone or TV screen? Join us as we celebrate Screen-Free Week and discover fun activities that don’t require electronic screens! Enemy to restaurants, and food loving people alike, the fly is an annoying bug that can carry diseases and is a just plain nuisance! Join us as we learn about the fly, why they are a problem, and how we can defend against them. He swings a web wherever he goes and does whatever a spider can: it’s the amazing Spider-Man! Join us as we learn all about Spider-Man, his history and appearances, and the biology of the creepy crawlers that inspired his creation. This joke holiday recognizes the awesomeness that is the Velociraptor, one of the most famous dinosaurs ever discovered! Join us as we learn all about this incredible creature; from how it lived, what it may have looked like and how it appears in movies and games. You’ve got some splainin to do if you don’t come to Homeschool Days today! Join us as we learn all about Lucille Ball and her “I Love Lucy” show, one of the most popular TV shows in history! No, do not hug the bears you see at the zoo! Join us as we learn about the teddy bear, the inspiration behind the first teddy bear, and how it is still a popular toy today. Sneak on in to Homeschool days as we learn about the mysterious black clad Ninja! Discover their origins, skills and tricks, and how to be a ninja in 2019! Contact the Education Manager at 402-944-3100 ext. 204, or by email at edumanager@sacmuseum.org.